This weapon was used on U-boats and other smaller German warships. As with most such weapons, the actual rate of fire was limited by the need to reload the 20- to 40-round magazines. 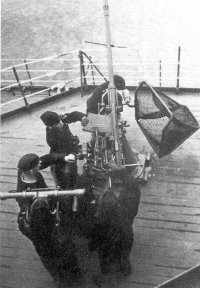 Single, dual, and quadruple mounts existed, but the usual U-boat outfit was a single gun with unlimited elevation.